30 years of experience manufacturing baby strollers, they strive to provide the newest innovations and to met customers needs. 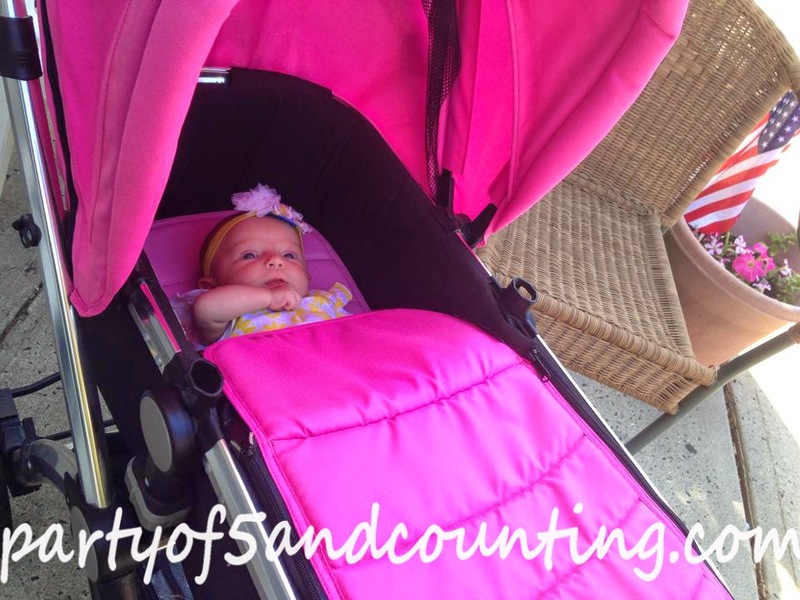 When searching for a stroller for your new precious bundle, I always want something that has all of the bells and whistles. BabyRoues provides just that. Stroller Pouch This is behind the seat of the stroller. It's perfect to store a bottle and other small necessities you need when on a quick trip out. 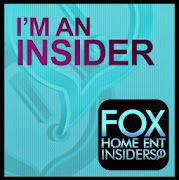 I use it to store my cell phone and small wallet so they are easily accessible. Reversible Seat I personally love when I can have my kids facing me,especially when they are little. With the BabyRoues Letour I have the option to face baby towards me or to face out. 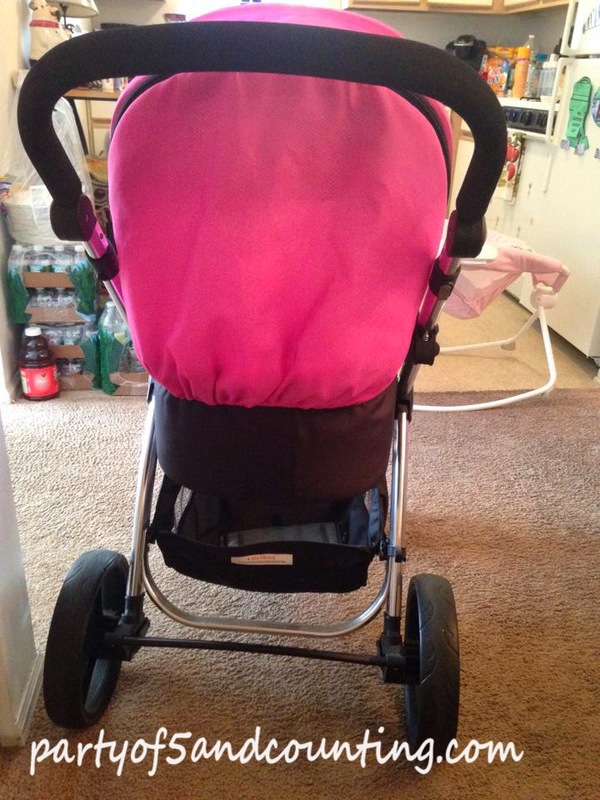 Comes with BOTH the bassinet AND the infant seat. Bassinet comes with a high quality mattress. I love that it wasn't hard when I had Amelia in as an infant. She seemed super comfy. 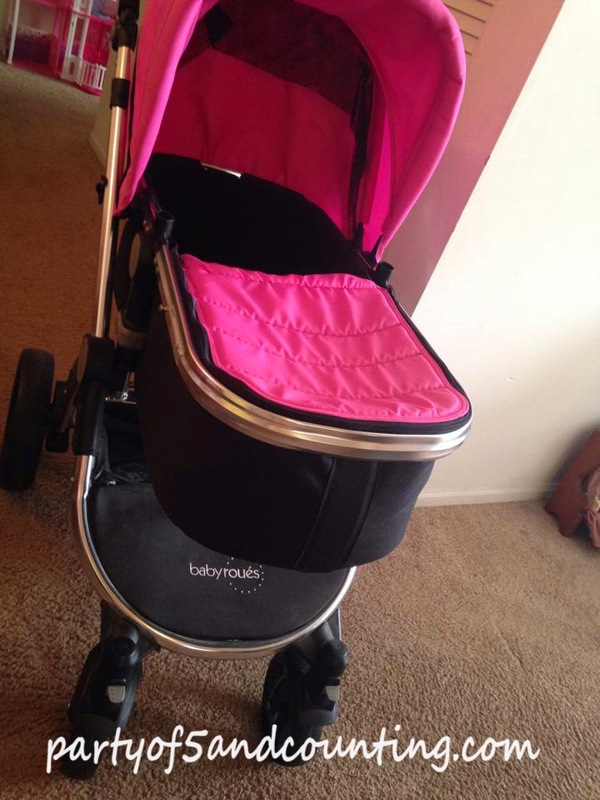 The included weatherproof rain cover fits over the bassinet and the infant seat. It's perfect for those crazy Jersey winters and lately our summers! Storage Basket while it's not the largest basket I have ever seen, it definetly isn't the smallest. I tend to carry a ton of stuff with me ( 4 kids have a ton of things! ) 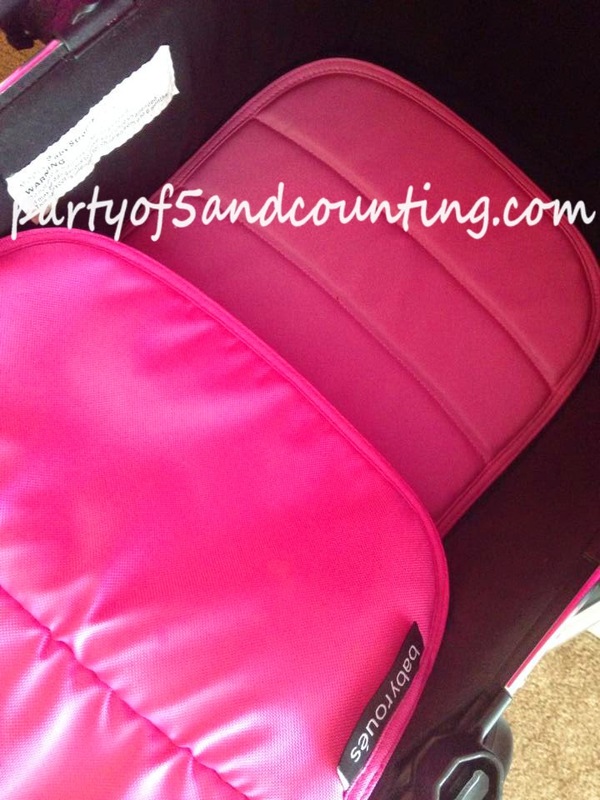 My Timi & Leslie diaper bag fits nicely underneath with some room to spare. The nice 10.5" front wheels and the 6.5" never flat rear wheels. 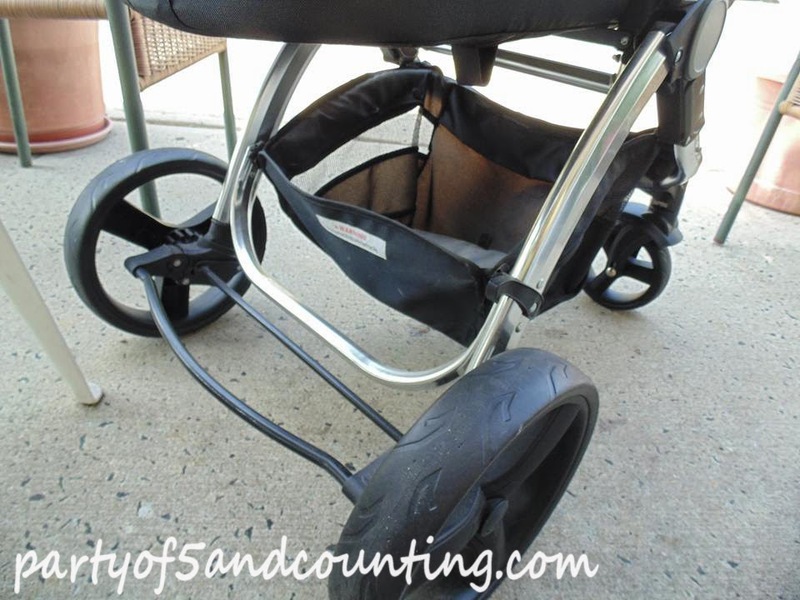 This makes using the BabyRoues LeTour stroller on pretty much any terrain possible. 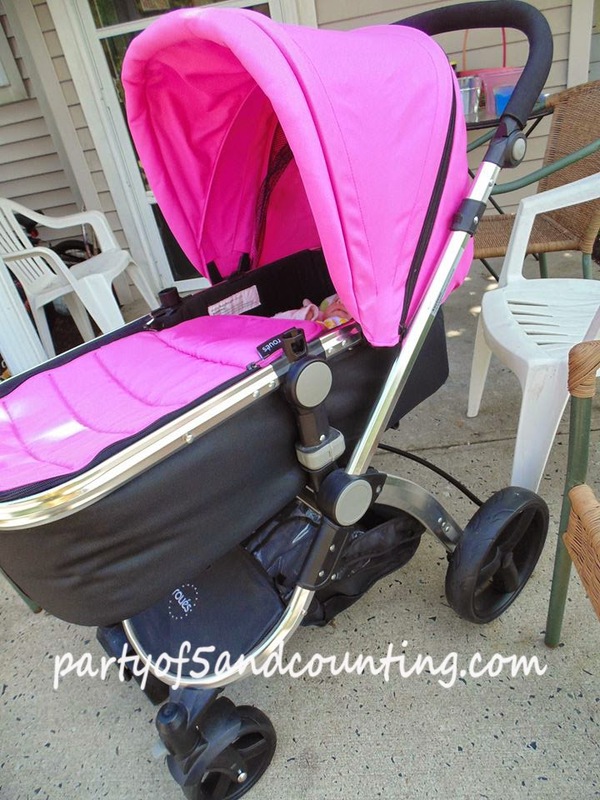 The BabyRoues LeTour comes in 6 fabric colors and is also available in 9 leatherette options as well. Pricing starts at around $600. While this may seem like a ton of money think of all the options you are getting for that cost! It's one of the best options out there that I have seen . I would take this stroller everywhere! We are going to China this Summer and we would totally take it with us!